My name is Manu Plazanet . 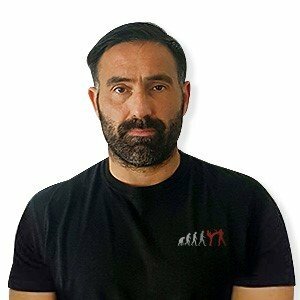 I began krav maga in 2003 at EIKM school with Phillipe Kaddouch for Instructor. My learning has been done by Instructor David Loiseau who made me better to take Instructor Training in 2006 with Gaby Noah and Emmanuel IH. Now, i practice Krav Maga in Ajaccio with Jean Paul Jauffret.